[i] The Reverend Monsignor Aloysius Kieran Ziegler was born on August 26, 1895 in Milwaukee Wisconsin to a devout German Catholic family. 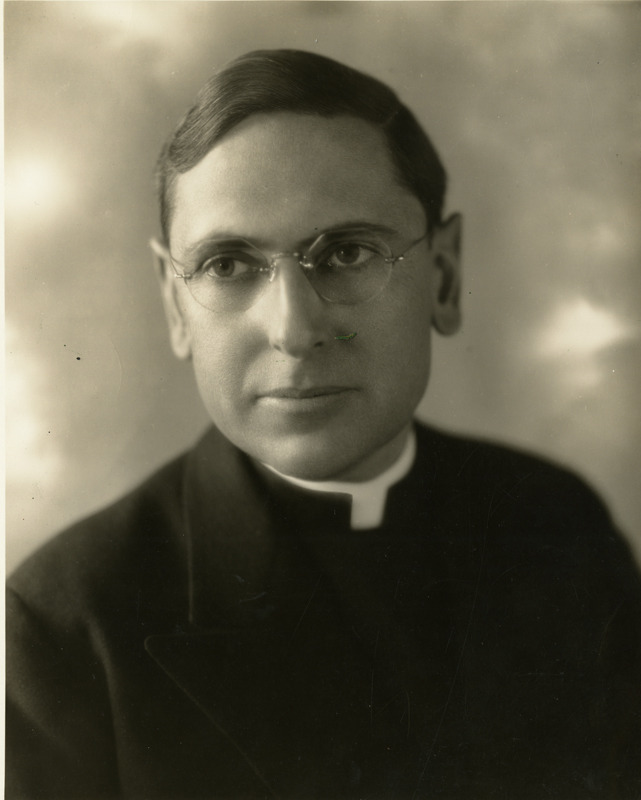 Ziegler had an extensive education that began with his studies at St. Francis Seminary where he was ordained to the priesthood for the Milwaukee diocese; he earned his bachelors in 1919. After being ordained Ziegler taught at the seminary and earned his Masters at the University of Wisconsin in 1925 and continued his studies at the Catholic University of America where he earned his STB in 1927; STL in 1928; and his STD in 1930. He also spent four years conducting post-doctoral studies in France at the Ecole Nationale des Chartes where he earned a degree in Archiviste-Paleographe in 1934; which followed with his appointment that year as an instructor in the Greek and Latin and History Departments. In 1938 he was promoted to Assistant Professor in 1938, Associate Professor in 1940, and Ordinary Professor in 1960. Ziegler was also Head of the History Department from 1941-1961 and was Associate editor for the Catholic Historical Review, 1936-1957. Ziegler retired from the CUA faculty in 1966 but remained Dean of the Catholic Sisters College until 1968. 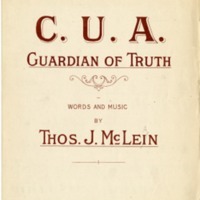 He also remained as a Senior Lecturer in the Department of Greek and Latin, until 1977. The unique aspect of Monsignor Ziegler is the fact that he was a renowned scholar in Medieval History as well as Latin, and was known for his patient and prudent work as a director of dissertation research and his reviews and editorial work. Monsignor Ziegler was also well known as a man deeply devoted to his priestly duties. This was seen with his work as Chaplain for Trinity College and as Chaplain and Moderator of the National Federation of Catholic College Students, NFCCS. Pope John XXIII elevated him to the rank of Domestic Prelate in 1959 for his extensive work. Monsignor Ziegler's health declined rapidly during the last two years of his life forcing him to move into St. Anne's Home for the Elderly in Milwaukee in 1977, where he died on July 13, 1979 at the age of 83. Overall, Monsignor Ziegler will be remembered as a gifted scholar, administrator, and priest.